At the age of 12, Deepika Kumari left home to find a better future. Within four years, she was the number one archer in the world. 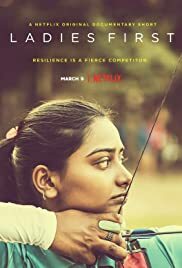 Ladies First follows the journey of a young woman from her community in rural India to Rio de Janeiro, where she fights to become the first Indian woman to win an Olympic Gold Medal. Ladies First streams March 8, only on Netflix.